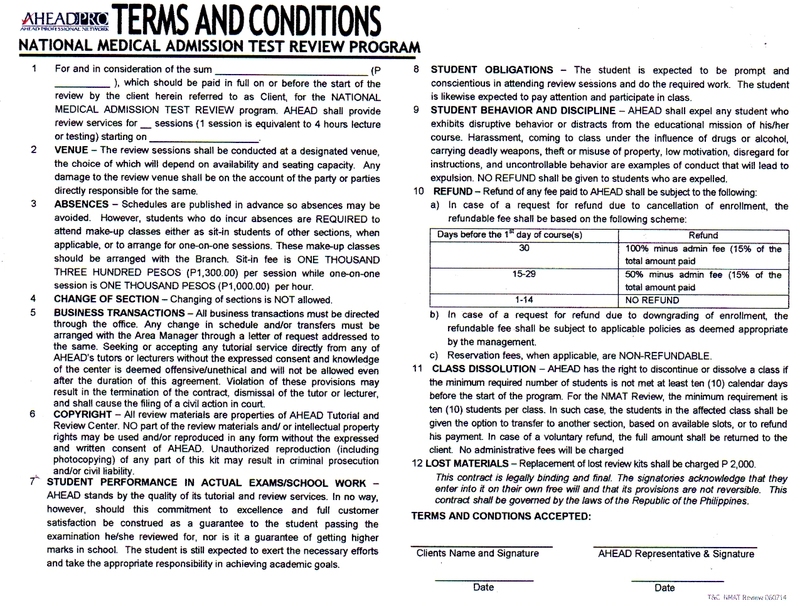 The NMAT or the National Medical Admission Test is one of the nationwide standardized tests managed and regulated by the Center for Educational Measurement (CEM). It’s taken by college graduates who want to enter Philippine Medical Schools. The test consists of two parts with 4 subtests each, the first one being mental ability and the second part being academic proficiency in order to assess if the medical school aspirants are equipped with enough mental and academic proficiency for medical education. Applicant must be a graduate or graduating student of any bachelor’s degree. Those currently enrolled in the UP College of Medicine Integrated Liberal Arts and Medicine (INTARMED) program may take the NMAT on their second year in the program. All applicants must bring their Transcript of Records (TOR). Graduating students or those in their second year of the UP INTARMED program are required to have their NMAT Identification Form signed by their School Head. One recent digital photo 2”x 2” with white background. For foreign applicants or in foreign test centers: Passport. Check the email you provided for your NMAT Identification Form and confirmation of payment (if credit card). Download and print to be brought on the day of the test. Two weeks before the test date, click on the link for the room assignments and test sites. Download and print your examination permit. 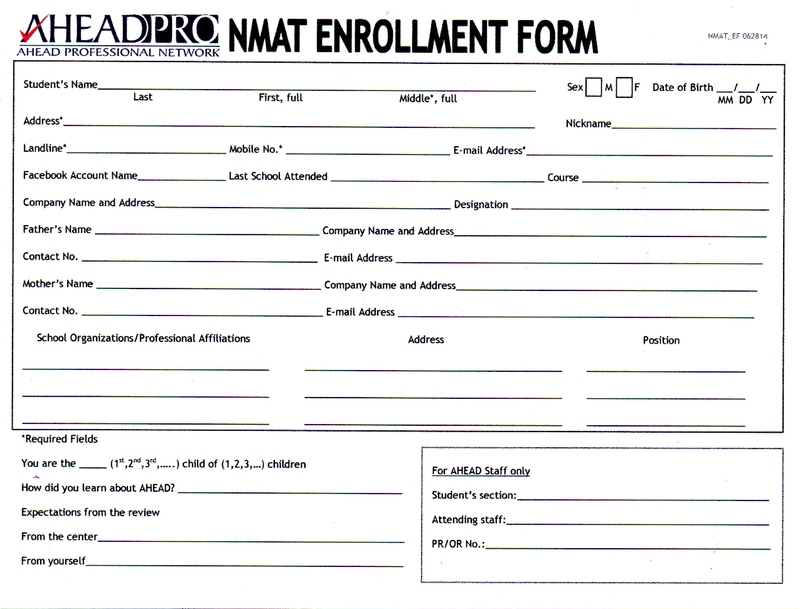 Email info@ahead.edu.ph for more information on our NMAT review.